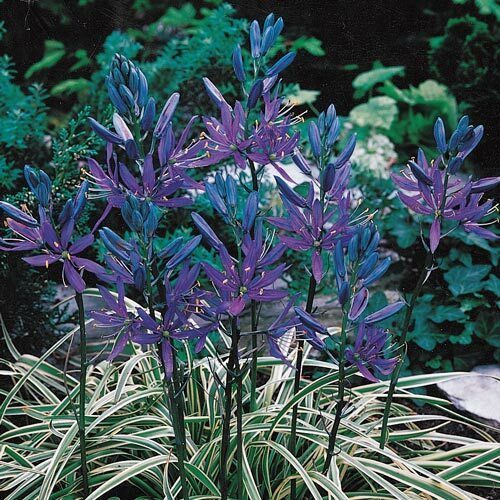 Tall, regal spikes of violet-blue flowers rise above handsome, straplike, variegated foliage. Likes damp soil in winter and spring, but drought tolerant in summer. Does well in clay soil. Nice foliage, the flowers lasted maybe 2 days. Underwhelmed.